A weak stomach is a common enough occurrence as many people are constantly faced with constant weight, bloating, nausea, vomiting, and other similar problems. In most cases this is due to poor diets and consumption of stale food. Fortunately, there is a solution to this problem — a proper balanced diet can strengthen your stomach. Get rid of all the stale food in your refrigerator. 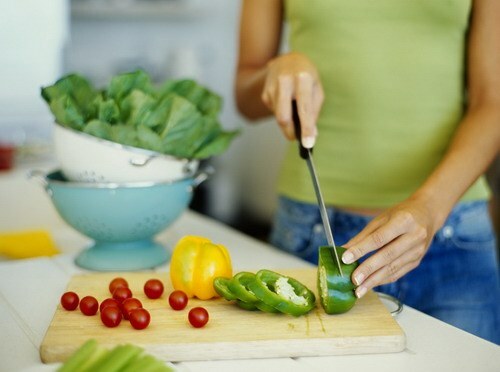 Remember that you should eat only freshly prepared foods. Exclude from your diet spicy, salty, sour and fried foods. Do not eat a lot of smoked meats. To strengthen the stomach good to eat sprouted wheat, and as much boiled rice porridge. Eat fresh fruits and vegetables including boiled carrots. It is not necessary to fill salads with mayonnaise. Try to drink plenty of pure non-carbonated water. The daily requirement in it is 2-3 litres per day. Take a decoction of pomegranate peel, which can be partially replaced by tea. For its preparation take about 5 grams of the rind of this fruit and pour half Cup of boiling water. The broth should infuse for 20 minutes, after which it can drain. Three times a day drink a few SIPS of this tool. Very useful for stomach is oatmeal. Try every morning to Breakfast oatmeal. This product removes from the body all the toxins, and stimulates the muscles of the stomach and intestines, positively affects the General condition of the body. Eat the Fig as it contains fiber, pectin and large amounts of vitamins that have a positive effect on the stomach. It is also recommended and regular intake of the congee. This tool is especially useful for gastritis. Pour in a container of a spoonful of rice and pour 500 ml of boiling water. Put on a slow fire and cook for 40 minutes. Broth strain. Drink it warm every two hours for a few SIPS. By the way, this product is also suitable for the prevention of diseases of the child's body. Raspberry tea is also very useful because it strengthens the stomach. For its preparation you need to take four tablespoons of chopped leaves of fresh raspberries and pour 500 ml of boiling water. Drink half Cup of the tea four times a day. By the way, fresh raspberries also help to strengthen the herb system.